Register on our site today and start browsing through our personals to find your Filipina bride. The Philippines is considered a nation of strong and independent women. These Philippine women are shaped by their eventful history and colorful culture. They have learned strength and resiliency during their past battles and at the same time, have learned compassion. A Filipino woman is the epitome of heart, beauty, and substance, making them the most ideal lifetime partners. Due to this, plenty of men have wondered what these beautiful women are like when in love. 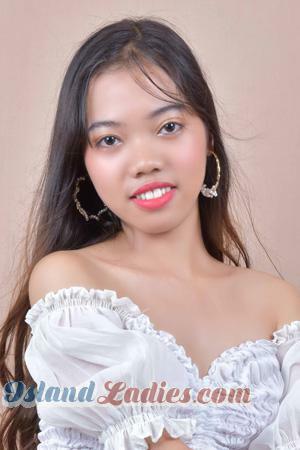 A Filipina is a product of her upbringing and traditions, which is why she is unique and unlike any woman you’ve met in the West. She allocates time for you. You’ll know she’s into you when she wants to see you and spend time with you regularly. She willingly allocates her precious time to be with you because she enjoys your company. At the end of the day, she tells you about what happened and what she’s feeling. More often than not, you will be the first one to know why she feels happy or down. This goes both ways as well, as she will want to know what’s going on with you too. Another sign that she already loves you is when she is curious about you. Her inquisitiveness shows her interest towards you. She sounds interested with the things that you like and will be willing to try out new activities or hobbies that you’re into. She is concerned about you. Showing concern about you is another way of telling you that you mean a lot to her. When she asks you if you’ve eaten your meal, or how your day was, it means she genuinely cares about you. You will never have a hard time in pleasing your lady love from the Philippines. She will appreciate every effort that you exert. She may not say it directly, but her actions certainly express how much she’s into you. If you are dreaming of bringing a Filipina bride back home, then register on our website for free today. Get the chance of meeting these Philippine women and visiting some of the best hot spots in the country by joining our singles’ tour. Join our socials to meet these women and bring back home a Filipina bride. The Philippine cultures and traditions are as steadfast as its people. These make Filipino women the best brides and mothers. They are shaped by their own culture and traditions that are continually passed from generation to generation. Starting at an early age, these women are already taught the value of their families. Due to this, these women treat their families as the rarest gem in the world. Their families are always at the top of all their priorities and their love for them is unconditional. As a result of their traditional upbringing, these women are conservative by nature. They aren’t comfortable in initiating conversations, especially with men. In the dating culture of the Philippines, the men is the one who initiates the conversation with the women. Lastly, they don’t play the field. These women take romantic relationships very seriously. They are firm believers of the sanctity of marriage. In Philippine society, divorce is frowned upon because of the strong religious beliefs of the Filipinos. With this idea in mind, if you have become interested with these Filipino women then sign up on our website today and start browsing through our personals to meet your Philippine bride! Why Island Ladies are Ideal Lifetime Partners? The unique beauty and attitude of these Philippine women are admired by men from all over world. As a matter of fact, they are on top in the list of the most sought-after brides in the world. There are many reasons why this is so. These women are the epitome of beauty and grace. They have the kind of beauty that definitely turn heads wherever they go. This is because they are a product of all kinds of races due to immigration and colonization. The best features of other races are in their bloodline, thus, it is no wonder that their beauty is captivating. Another reason why they are ideal lifetime partners is that they are loyal and faithful. They believe that a marriage is between a man and a woman only. This belief is deeply anchored from their religious values. They will always find that one reason to stay beside you through thick and thin and preserve the marriage. For island ladies, a marriage should always last for a lifetime. Marriage for them is not just a contract, it is the unity of two souls that is never meant to be altered by any circumstance. Following this logic, you can expect your relationship with a Filipina to last for as long as both of you shall live. Philippine women are god-fearing. Traditionally, they are used to going to church every Sunday. They always make sure that their family builds and maintains a relationship with their god. Often times, these religious practices and beliefs influence the decisions they make in life. Moreover, it’s also a reflection of their morals. In addition, they do not believe in divorce due to their strong devotion to god. The Philippines is one of those countries that do not allow divorce. They always practice fidelity and honesty towards their partner. If you are looking for a woman to marry for a lifetime, then you can never go wrong with choosing a Filipina. With all of these qualities, there is no doubt that these women from the Philippines are loving wives and caring mothers. 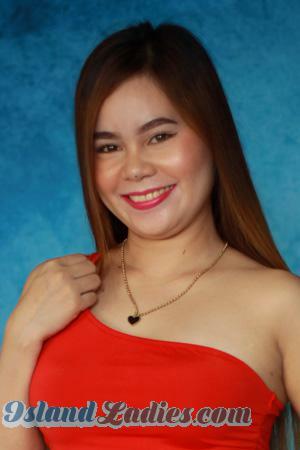 If you are looking for a woman with all of these endearing qualities, then marrying a younger, stunning Filipina is the perfect choice for you. Finding a Filipino bride for marriage has never been easier with the best Philippine marriage agency. Register on our site today to join our singles’ tour in the Philippines and get the chance to meet your Filipina bride.